There is no doubt that humans are inventive, clever, and driven, but we are not alone in this. Every species currently in existence is here today due to nearly 4 billion years of evolution. These organisms have developed a vast range of strategies and symbiotic relationships that not only support their own life, but also through their deep-rooted connections to the rest of their surrounding ecosystem, create conditions where life begets life. They have learned to not overdraw their resources, to use and value diversity, to take advantage of opportunities through organic succession, and to return any surplus that they produce. 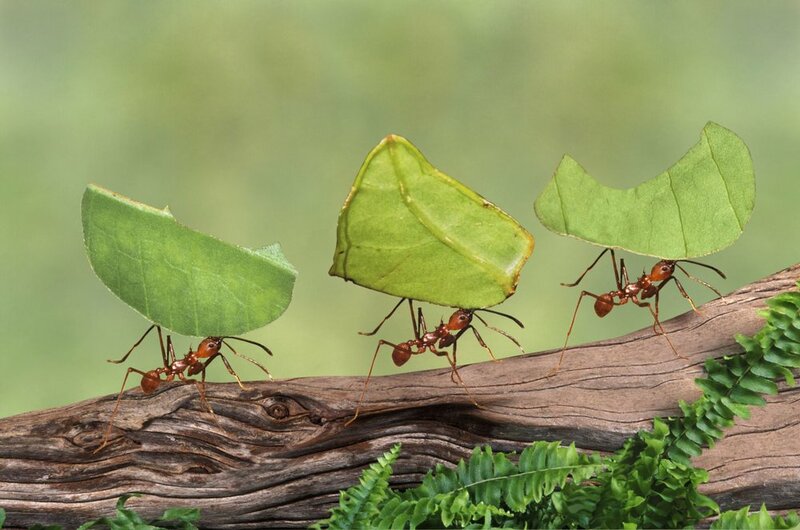 Find an inspiring organism or ecosystem and learn about its unique strategies for survival. Determine the mechanism behind the organism’s or ecosystem’s strategy and translate that into a design principle by removing biological terminology. Using the strategy and your design principle as a guide, define what functional need is being met. The function should be the same for both. Brainstorm applications where this function is needed. Who needs to do what your biological example is doing? Think of examples for how to define the context, function, and design principle(s) to solve a challenge. Hone in on the best ideas from your brainstorm and develop a design concept. Consider aspects of scale, and whether you can go beyond emulating form and also emulate process and ecosystem. Assess your design using Life’s Principles as a reference. 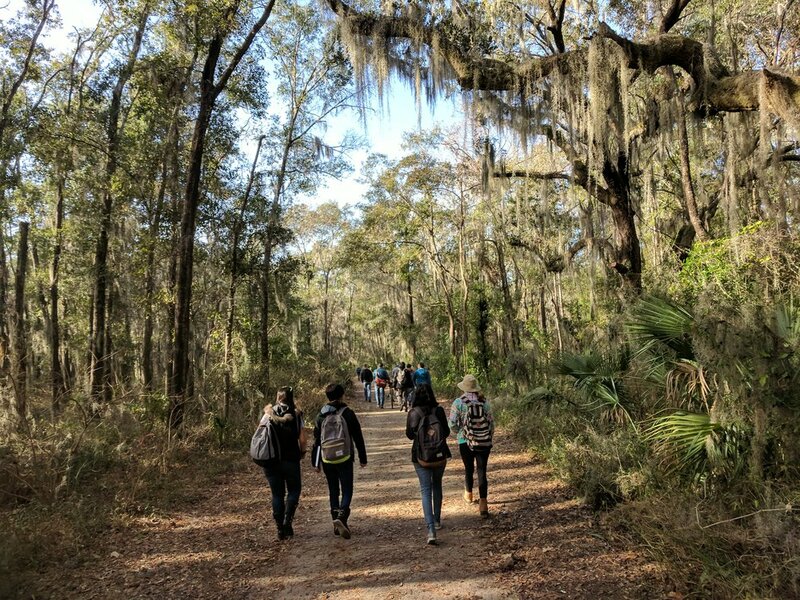 Photograph from a class trip to partake in a biomimicry iSite where we got to experience local biodiversity with an eye mask on, only able to describe our surroundings by touch. 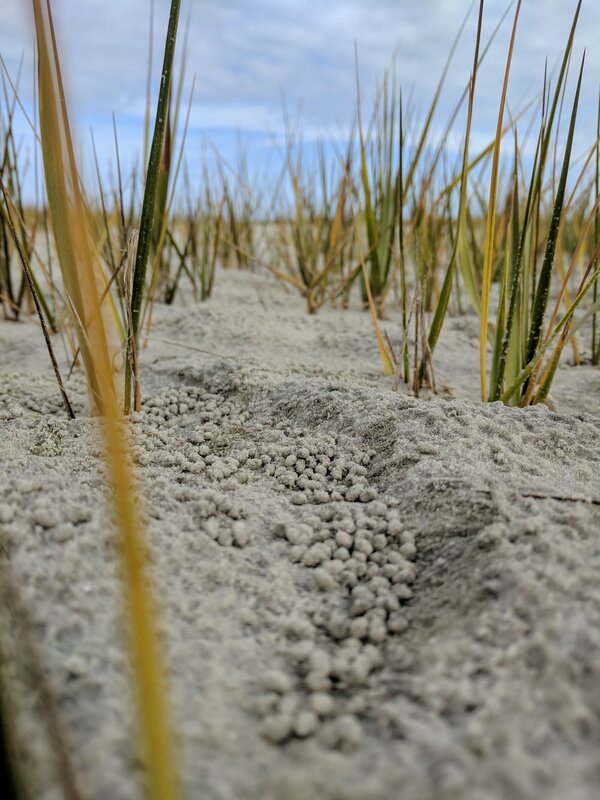 Photograph from an excursion to Cabbage Island, GA where our guide taught us about the biodiversity on the island and our team got to be inspired by natural models and quiet our human cleverness. Taking inspiration from the fungal-based agricultural society of leaf-cutter ants and the adaptive reuse strategies of the burrowing owl, the FrogTown AgriHub transforms the old Central of Georgia Railway in Savannah, GA into a regenerative community hub. 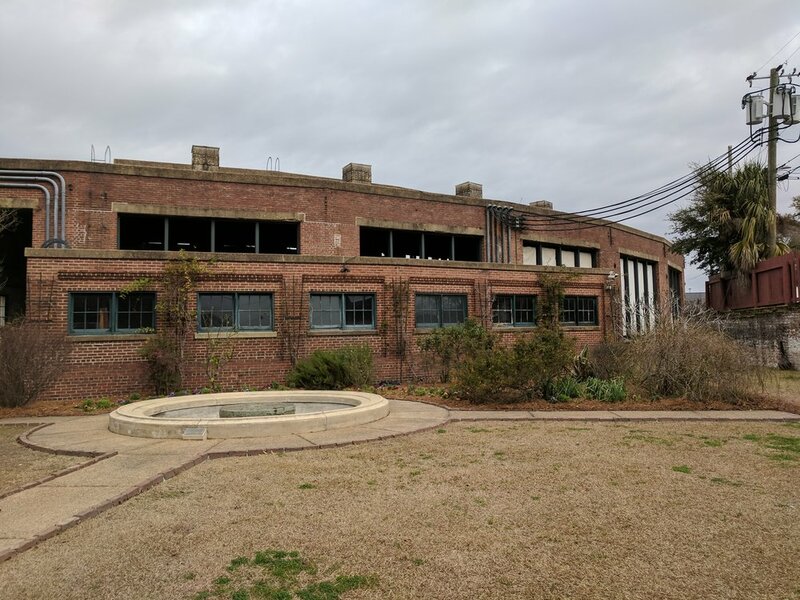 More than just the remediation of toxins that leached from past industrial processes, the AgriHub aims to remediate the social and economic effects of urban decay that followed deindustrialization in Savannah. The FrogTown Biomimicry Flower showcases all of the species that our team looked to for inspiration in finding solutions to human problems. The three species that largely guided our project were the Bird Catcher Tree, Leafcutter Ants and Burrowing Owl. Our team proposed the following programming within the building to bring the space back to life. These programs are meant to bring community back into the space in diverse and inclusive ways. Double stacked shipping containers provide living space on top and workshop space on the bottom for craftspeople in need of transition housing or permanent housing and studio space to start earning a livelihood. Art gallery space for local artists to bring in community members to experience their work and help the space gain exposure to the community that can begin to utilize it and see its potential. 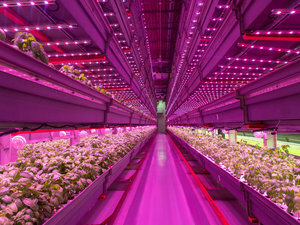 Aquaponics mimics the symbiotic relationship between fish, plants, and beneficial microorganisms in natural wetlands and rivers, where the nutrients excreted as waste from fish is used by plants as energy, which then filters the water of contaminants before being cycled back into the fish tanks. The shop allows for people to understand the processes happening in the AgriHub and how they are related to the system. The education makes the Hub work and then allows those that experience it to spread it to their own neighborhood and community. Exterior photograph of the Central of Georgia Railway building. 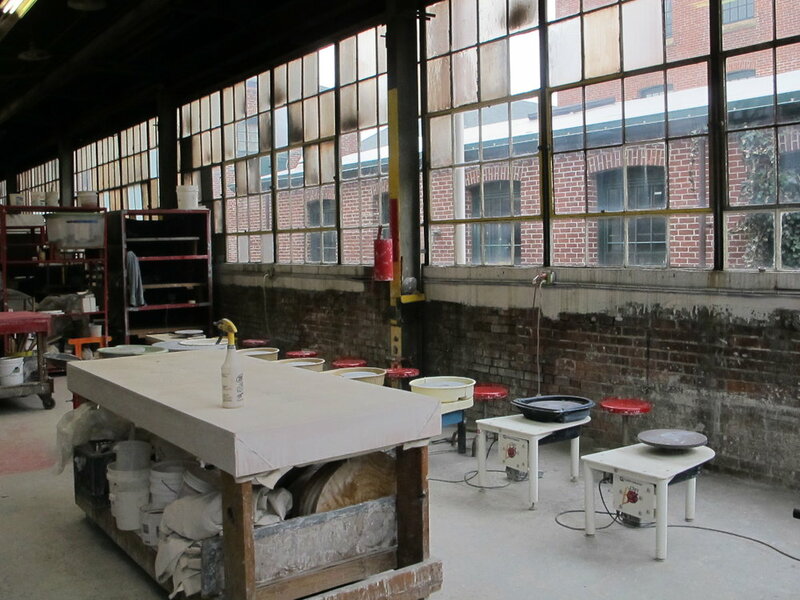 Interior photograph of workshop space that existed previously within the Central of Georgia Railway building. When designing a proposal for a revitalization of this space, it was important to our team to give homage to the history of the building and preserve the legacy that was created in this historic building. During our tour of the historic railroad building, we learned that the factory workers who used to live here on site had actually built and tended a garden outside of the factory. They grew native flowers as well as vegetables to share with the other workers. The history of this garden gave more backbone to our proposal of creating an outdoor community farming space to remediate the soil and revitalize the community surround the factory. One of the last remaining row houses where the railroad factory workers used to live with their families. 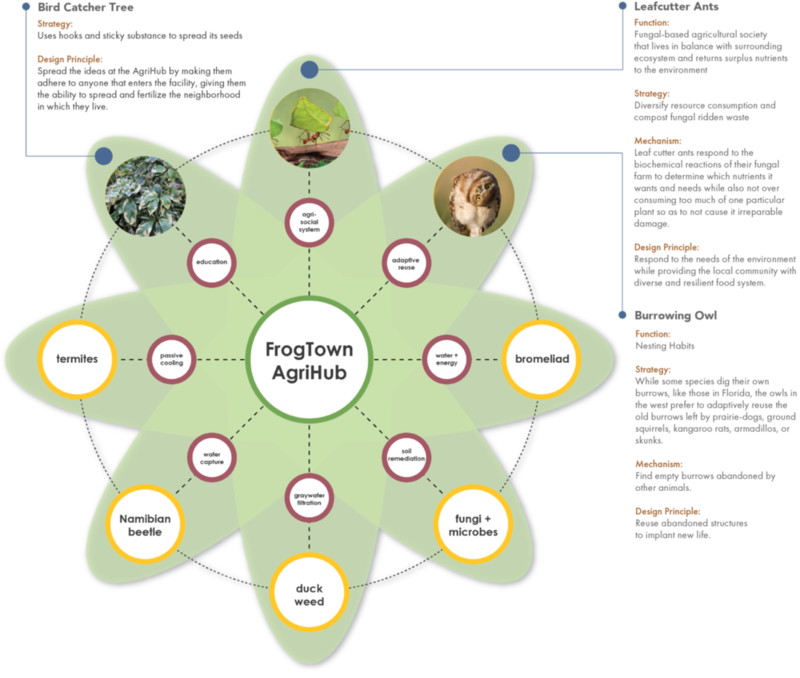 This housing complex was referred to as FrogTown, which is where we got the inspiration for the name for our proposal project. For a comprehensive look at our teams primary and secondary research, more information about biomimicry practice and case studies reviewed, look through our process book bellow.